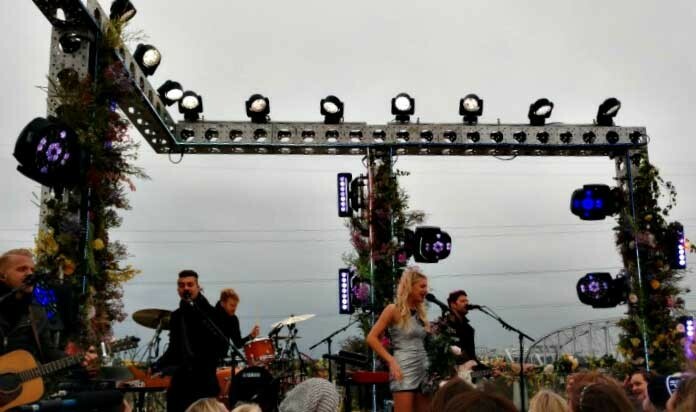 USA – It is hailed as “Country music’s biggest night,” but Kelsea Ballerini was up bright and early for a performance on Good Morning America to kick off the festivities. Bandit Lites supplied the lighting package for the outdoor stage that overlooked the city’s skyline and Nissan Stadium as millions tuned in to hear Ballerini and find out the first two winners of the 51st Annual CMA Awards. Even with the overcast daylight skies, Carver and Gregson were able to craft dynamic looks that translated both on television and for the rooftop audience. 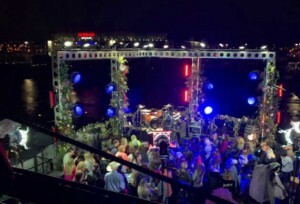 Bandit Lites provided Martin MAC Auras, Claypaky B-EYE K20s and Ayrton MagicBlades along with a grandMA 2 Lite console for control. Bandit’s crew was comprised of Andy Knighton, Sarah Euker and Scott Wesson along with support from project manager Matt King. In addition to performing, Ballerini also took to the stage to announce the winners for Music Video of the Year and Musical Event of the Year, which went to “It Ain’t My Fault” by Brothers Osborne and “Funny How Time Slips Away” by the late Glen Campbell and Willie Nelson respectively.